Your essay reveals something important about you that your grades and test scores can’t—your personality. It can give admission officers a sense of who you are, as well as showcasing your writing skills. 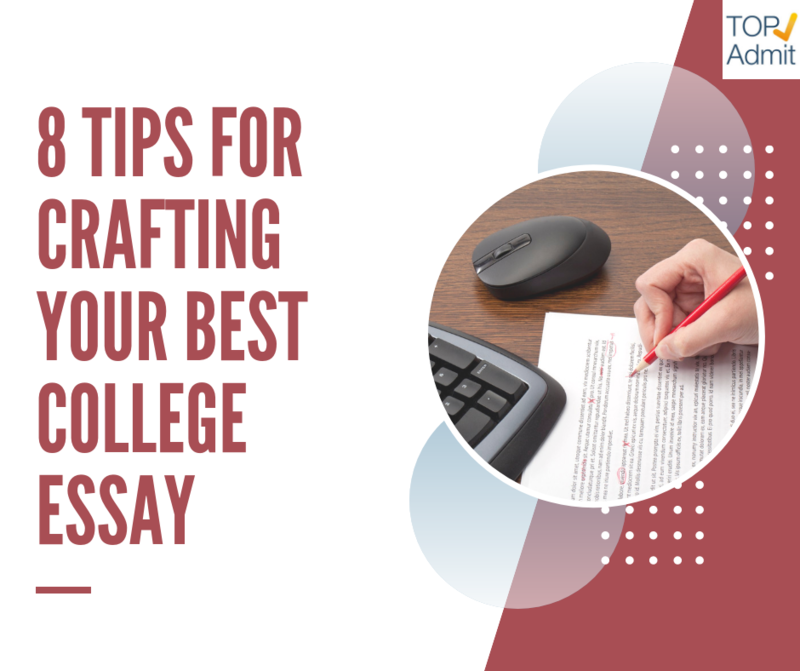 Try these tips to craft your essay. After you’ve gathered your notes, create an outline to organize your essay and decide where you want examples to appear. Now you’re ready to write your first draft. Don’t worry about making it perfect. Just get your ideas flowing and your thoughts down on paper. You’ll fix mistakes and improve the writing in later drafts. Give your essay focus by figuring out how the question relates to your personal qualities and then taking a specific angle. Make sure everything you write supports that viewpoint. The essay question might ask you about your best quality, an experience that shaped you or the reason you want to attend a certain college. Don’t be tempted to write what you think the admission officers want to hear; answer the question honestly. Read your essay over carefully to check for typos and spelling and grammar errors. It’s best to ask someone who hasn’t seen it yet to take a look as well. They’re likely to see mistakes you won’t catch. TOP TIPS ON HOW TO WRITE AN ESSAY AND HOW TO GET YOUR ESSAY DONE!